Hahn, C.W. 1832. Die Arachniden. 1: 25–76. Zeh´sche Buchhandlung (Nürnberg). Reference page. 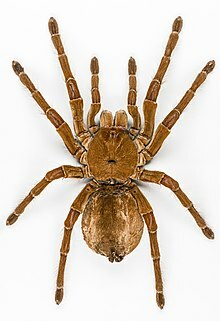 For more multimedia, look at Theraphosa blondi on Wikimedia Commons. This page was last edited on 28 February 2019, at 01:47.